Since school started, I have been grappling with how to approach writing; I know that the formulated writing that I taught in the past is a thing of the past. I know that it is important for students to get their thoughts out and find their voices. So, today, I walked in and told them just that. I told them that I want them to not worry about grammar, especially if they are English as a second language students. I wanted them to focus on getting their thoughts out. I told them about me setting my timer every single night for thirty minutes, and I have been writing during those thirty minutes. I told them that I know it’s hard, and I know it can make a person feel extremely vulnerable, but I encouraged them to talk to each other, think about what’s on their minds and in the world, and write. They started writing, and one stated “I have so much on mind all of the time, but now I can’t get anything out.” Another student stated “This is hard.” However, they continued to write. Through google classroom, I could see what each individual student was writing, and I observed some making list, a few were writing stories, and one was even writing about how school is the worse place for a child to be; there is never any time to have fun and laugh. Their anxiety was running high worrying about when was the paper due. I had to reassure them that they did not have to worry about getting finished; they can work on this piece until they felt that they were finished. I never thought about how I had been pressuring students about the final project instead of putting more emphasis on the process. I remember giving students two or three class periods to write an essay, and I would give them this outline, and tell them to write. I would hate reading paper after paper that read just like the paper that came before it. I would think “Where are the students voices?” I never thought about the fact that it was the way that I was approaching the writing. Today, I nervously gave them my blog address and asked them to read my blog about writing. I asked them could they hear my voice, and they all agreed that they could. We talked about what I did to make my voice heard. I told them how I write from the heart, and I try and write with authority by not using “I think” or “I believe.” I told them how I give my thoughts, but I try and validate my thoughts through giving real life examples. They seem to get it, and they were writing. Writing is hard, and I don’t want to ever forget. When I see my students struggling; I want to be able to empathize with them, and that is why I have been setting that timer and writing even when I do not feel like it. Like right now, I have about eleven minutes to go, and I want to stop. I want to go the bathroom, and check my email, and look at Facebook, and do a whole bunch of other stuff to distract from the writing, and I noticed that is what my students were doing. Before the thirty minutes were up, I started hearing chatter, and folks started looking at their phones, and folks started to ask to go to the bathroom. I had to tell them to do what I have to do and that is sit with the discomfort and write, even if what they are writing is not making any sense at all. Just Write. Eight minutes to go, and I want to quit, but I can’t. I feel like I have stated all that I want to say, but there is always more.... Oh yea, I can take these last seven minutes to look over what I have already written. Yes, that’s what I can do. Y’all, you see my tactics to avoid the discomfort of writing, so I know exactly how my students feel. I have changed my approach to writing with my students, and I am including myself in the process. I’ll come back to this to let you know how it goes. Since school started, which was the beginning of September, I have been doing a lot of preparing for my consulting gigs and also reading and preparing to teach my classes. I’ve been doing a whole lot of brain work, and that has been quite rewarding yet time consuming. However, after returning home from my last trip of 2017, I was a little uncomfortable with all of the free time that I had all of a sudden. I would go to the gym at four and basically have the rest of the day free; I did not need to use my brain very much. I was going to bed early, I mean really early, I am talking about 7:30pm, and I would lie their and read and think and read and think and eventfully fall asleep. I thought a lot about the idea that at the end of the day, no matter how busy we are, we are always left with ourselves, and time keeps right on moving on. I contacted my cycling coach and let him know that I was ready to start my winter training, I committed to start writing every single day, and of course I read every evening. I also thought that I could use some of this down time to sit with myself and explore my thoughts and feelings. During the month of October when I traveled to five different places, I had to constantly remind myself to not get overwhelmed by the travel or the work; this too shall pass, and it did. Now, I am left with me, and it’s an adjustment. I’ve made the conscious decision to reach out to people, because quality time is my number one love language, and it always does my heart good. From now until Christmas break, I will go to the gym three days a week, cycle at least four or five days a week, write, read, go to culturally events in the city, and spend as much time as I can with folks whom I care a lot about. It’s like I am coming off some kind of high, and I’ve got to get back to my normalcy. I’ve been wondering what do other people do with their free time, especially the weekends? Do they go to outdoor markets, museums, bookstores, malls, or do they stay home and talk to their family members or friends, watch TV, or maybe even clean up a bit. It may the colder winter impacting me, but I use to love to go to outdoor markets, then a museum, then to a coffee shop, then go home all in one day. But now, I’d rather spend time at home, in my favorite chair, relaxing. There are dreams that I have and things that I still hope and wish for, but time just keep on marching on. Sometimes I laugh as hard as I can, but other times I feel sad and I cry and sometimes not cry. And, time keeps on marching on. I was reading another literary blog that I absolutely love, and she was discussing being Well-Read. This got me to thinking about what does it mean to be Well-Read? 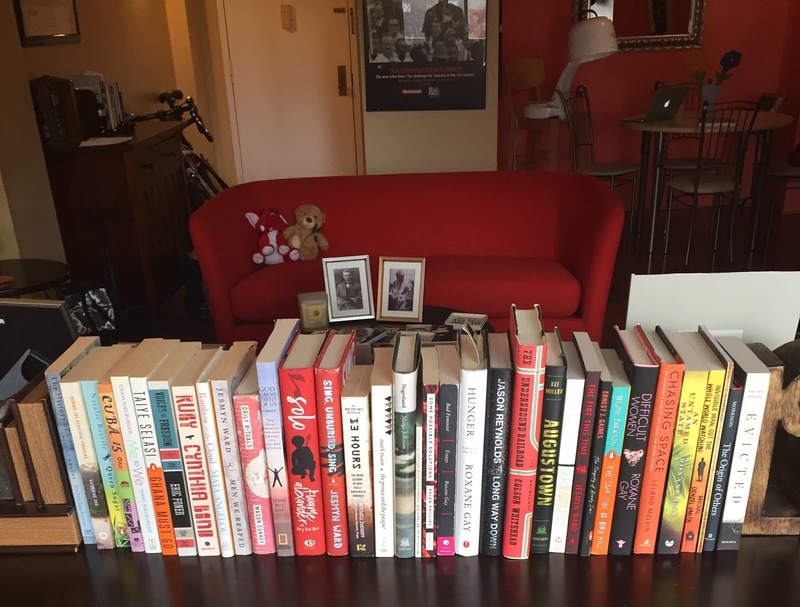 I proudly flaunt my Well-Read Black girl t-shirt, and now, after reading that post, I have been doing some really serious thinking about what it means to be Well-Read? However, I know tons of folks who read a whole lot, and many of them have never, ever read any of those books that I thought made folks Well-Read. However, those same folks can talk about books that I have never, ever heard of and have me making my reading list even longer. So, what makes a person Well-Read? I have totally let go of the idea that folks have to read the books in the 'literary canon' in order to Well-Read. I even gave my students and myself permission to decide upon our very own literary canon and include all of the books that speak to our hearts. I wrote about that here. I am thinking that being Well-Read may have something to do with the number of books that a person reads a year? So, what would be a magic number? Twenty or thirty? But, what if that person only read science-fiction books, or books by only White writers, or books by only Black writers... You get my point? Now, I prefer fiction books written by folks of color; however, I will read just about any book under the sun. Folks tell me to try books, and if they about talk the books with a lot of love, then I will definitely read them. For instance, last summer I was at Texas Christian College, and this teacher mentioned the Storyteller by Jodi Picoult. You should have seen the joy on her face when she talked about it. She even sent me an email to ask if I had read it. So, you know what I did, I read that book and loved it. I must admit that I did not think highly of Jodi Picoult as a writer. Not sure why, but I thought her books were fluffy books, and I had no desire to read them. But, I sure did love every single word of The Storyteller. Like I said before, I will read just about anything. For the past two years, I have read tons of Young Adult (YA) novels, and those YA authors are bringing IT. 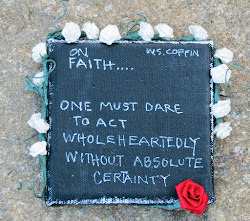 Those YA writers are writing and writing courageously. 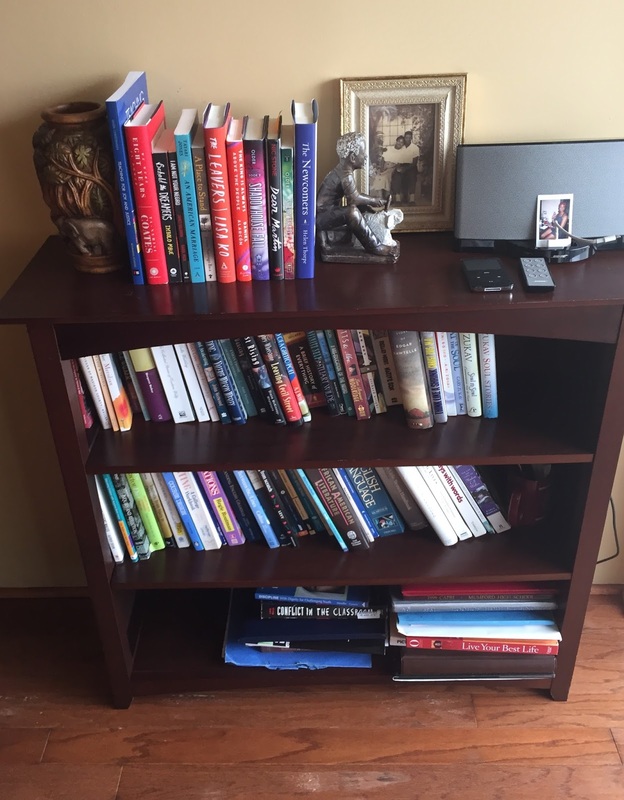 I am not sure about other folks students, but my students are eating those books up, and they are sparking some of those conversations and writings that causes my students and me to dig deep within. What y’all think about being Well-Read? This morning I got up and cooked my breakfast and made my coffee and sat in my favorite reading spot to read Rivers Solomon’s An Unkindness of Ghost. This book is soooo captivating, and after I read for awhile, I needed to google Rivers Solomon and this awesome book. The setting of this book is on a ship and the people are divided by class with the darker people being at the bottom of the ship and treated quite badly, even beaten. 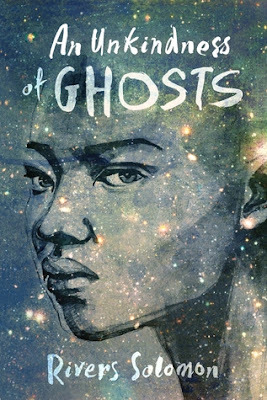 The ship is taking people from a destroyed earth to a ‘promised land.’ Reading this book, I was reminded of the stories about slavery and periods after slavery where Black women were raped and impregnated by White men and suffered other atrocities. This is a slavery story, but with a science fiction spin... CLEVER! I love how Rivers is retelling the story of slavery through the genre of science fiction... CLEVER! These stories matter, and must be told over and over again even through the genre of science fiction. 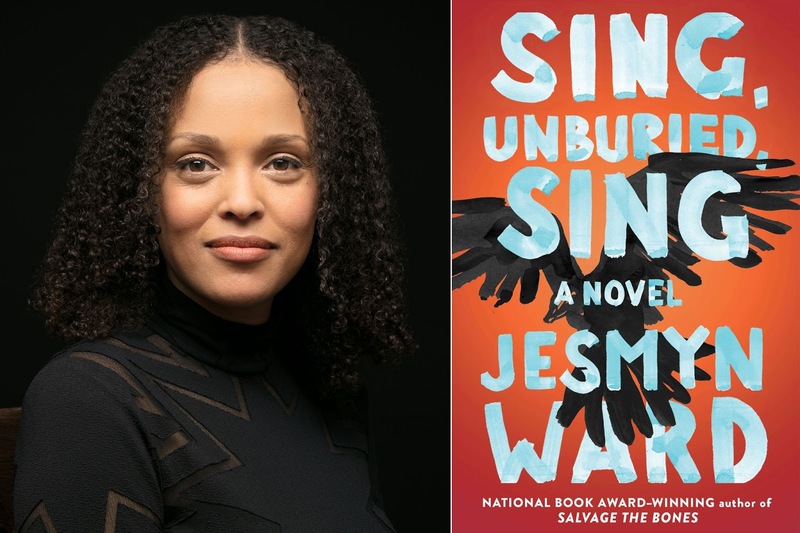 I could go on and on about Jesmyn Ward and how she honors the stories of our Mississippi Brothers and Sisters in this book and in all of her books. Jesmyn honors stories that need to be told and told over and over again. Folks need to know about Parchman Farm which was a state penitentiary in Mississippi where many Black folks were killed, even children. This books caused me think about manhood, and drug abuse, and children, and love, and OUR stories.... They matter and must be told. Jesmyn, I know that you make your people really proud! 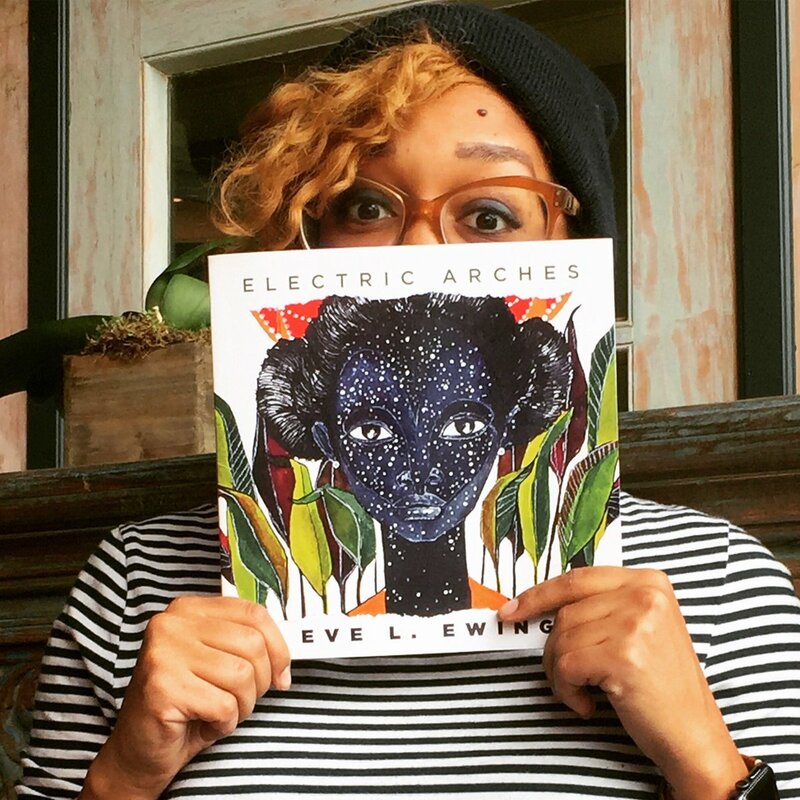 Electric Arches by Eve Ewing was "Well Read Black Girl" book selection for the month of September. I downloaded it and decided to start reading it on a flight to Boston. Well, it’s written in verse, and therefore, I read it two times on that plane ride. It is so Black and Beautiful until as soon as my plane landed, I rented a car, looked for a bookstore on google, and drove straight over there to get this book in book form. Yes, I needed this book in my hands and in my house. There are pieces called “When I Talk About When I Talk about Black Jesus,” and “On Prince,” and “Ode to Luster’s Pink Oil.” Y’all, this girl honors and loves us with this writing, and I appreciate every single word of Blackness. Eve Ewing, my sister, I appreciate you! As much as I love those kids, there is a man in the story with no legs who teaches the kids how to box, and y’all I have mad love for him. Now, most of us have been in the inner cities and have seen the men on the streets with no legs? I have seen them tons of times, but I think I was looking at them but not looking at them. After the way that Jason writes about this dude with such dignity, love, and respect, I will never, ever walk pass another man or woman with no legs, in a wheelchair, on the streets or anywhere for that matter, and not look him/her in the eyes and fully acknowledging him. Jason, nothing but LOVE for you brother! However, Thanksgiving, is the perfect day to show a little gratitude for African American writers who have been holding it down for a long time: Jacqueline Woodson, J. California Cooper, bell hooks, Octavia Butler, Alice Walker, Toni Morrison, Eric Jerome Dickey, Terry McMillan, Tina McElroy Ansa, Randall Robinson, James Baldwin, Zora Neale Hurston, Ernest Gaines and soooo many more who have been courageously telling our stories... THEY MATTER! I thought about what he said, and I had to agree with him... why does it seems like it is difficult to get back in the habit of doing things that are good for us? For instance, I started writing this blog about seven years ago, and I look back at a year like 2013 where I wrote two hundred and nineteen blogs. I remember making a conscious decision to write, write, and write. I needed it.... I was reading incredible books, and not many of the people whom I know were reading the same books as me, so I started writing my thoughts. You know how love works? The more I wrote, the more I wanted to write, and I started to fall madly in love with it. I kept that pace up for quite awhile, but in 2016, I wrote thirty-one blogs, and so far in 2017, I have written only twelve blogs, and I have to really have to ask myself why? Life started to happen, and I started focusing on how to advance my career. I started working with a publisher, and I wrote a few pieces for the International Literacy Association, and then.... You know how it goes. I got out of the habit of writing, and it started to become something that I did only when there was something truly pressing on my heart. I would think about writing, and I would write in my journal in the mornings, but the writing would be mostly list and phrases with a few sentences here and there. This past weekend, I spent four days with some amazing writers at the National Council of Teachers of English conference. These folks lead tons and tons of sessions on writing, and I thought about the idea that I must start to write regularly so that I can empathize more with my students on their writing journeys. I read an article where Jesmyn Ward, The National Book Award Winner for Sing Unburied Sing, stated that she gets up around four in the morning and writes before she wakes her kids to get them ready for school. Kelly Gallanger, the writer of lots of books, and he also teaches high school part-time, also stated that he writes early in the morning before he starts his day. 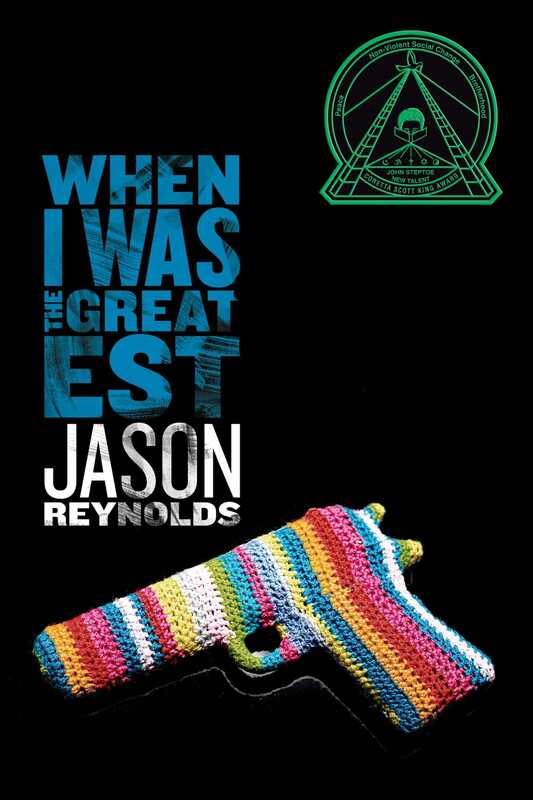 And, I was told that, Jason Reynolds, the author who has written a whole lot of books in the last three years and seems to be EVERYWHERE, writes five pages a day. So, what is my excuse? Writing just like a whole bunch of other stuff is really, really HARD until it becomes a habit. I mean for me it takes my entire body to write a blog or an essay; I mean my whole body. I can’t write with anything on in my house: no TV, no music, no background noise; it must be completely silent in order for to write. Then, I have to calm my thoughts and put my entire brain into the process. I think that is why I pulled back some; it takes my whole body and many days I have felt that I have not had that much to give. I have a few things in the my pipeline that are going to requirement some serious writing, and I know that if I do not get back in the habit of writing, doing that serious writing is going to be quite painful, so I WILL WRITE and write often. For the past two nights I have set my timer and have written for thirty minutes, and it felt good.